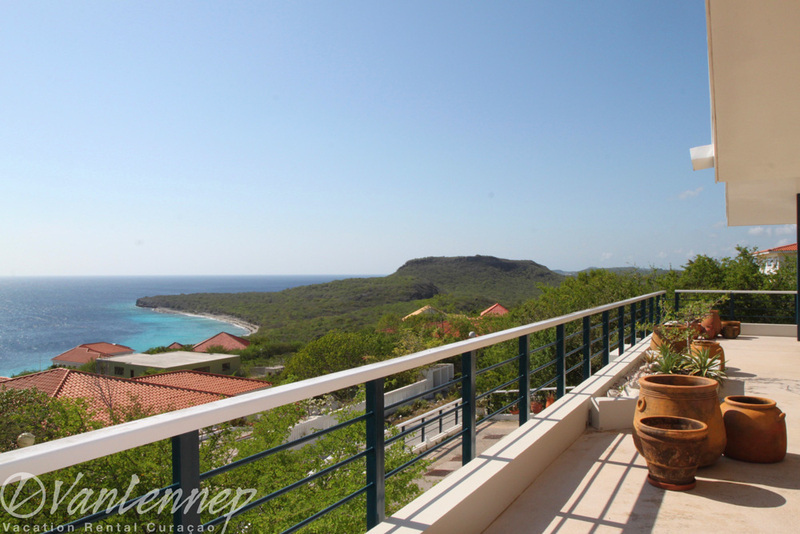 Vacation Villa Dutch Dream on Cas Abou, Curaçao, is a very spacious villa, with a private swimming pool. 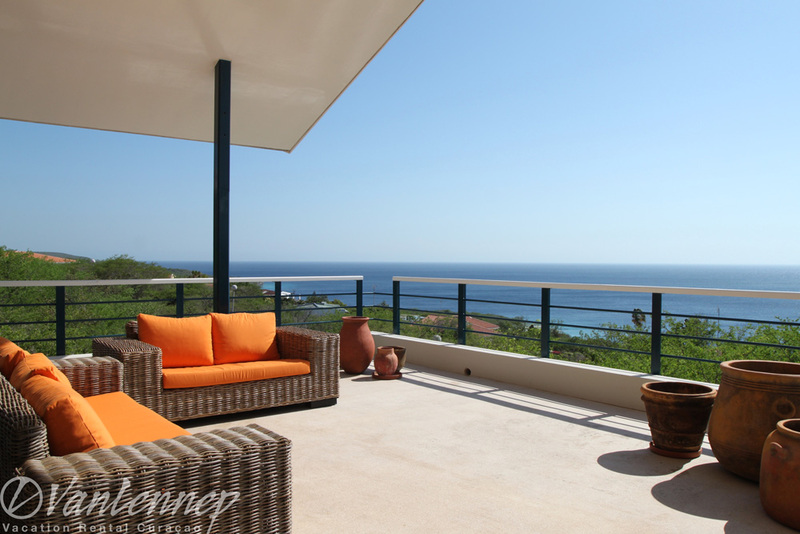 She has a very large terrace with beautiful sea view! 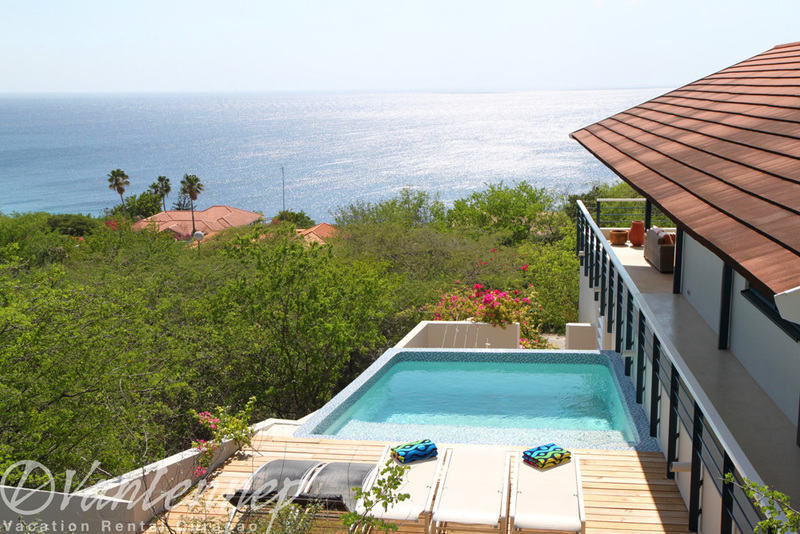 Vacation Villa Dutch Dream has four bedrooms and four bathrooms and can accommodate up to 8 persons. A babybed can always be placed. This beautiful villa is recently completely renovated, painted and has a new swimming pool. 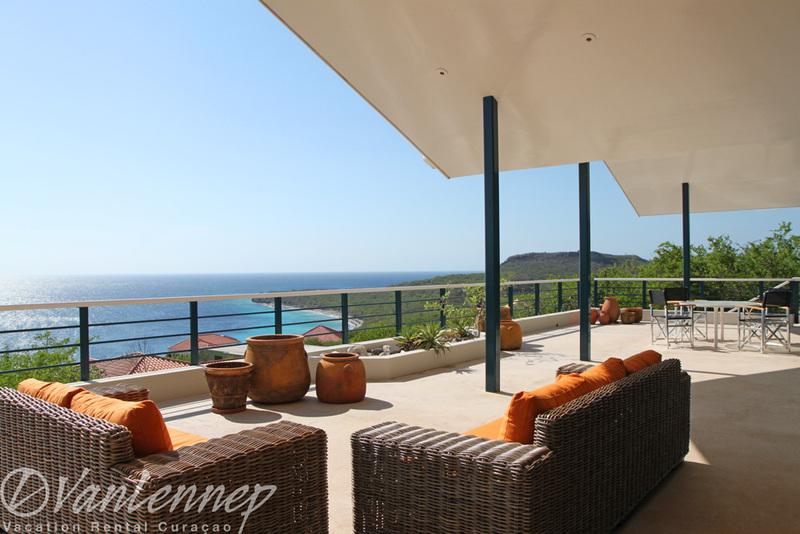 For a holiday on Curacao with family, friends or just happy together, this is a perfect location. The sea view is beautiful, you have all the privacy and plenty of space! Villa Dutch Dream is located in the residential area of Cas Abou. Cas Abou is located on the southwest side of the island, where all the beautiful beaches are. Where it is beautiful and quiet. The beach at Cas Abou, Bon Bini Beach is around the corner. A few minutes away is the beach of Cas Abou; Bon Bini Beach; one of the most beautiful beaches on the island! Here you can do some wonderful diving or snorkeling. On the beach is a beach bar, a diving school and you can get a massage. To the airport is 20 minutes, to the nearest supermarket 10 min and to the city 20 minutes by car. Nearby there are several good restaurants, dive shops and attractions. Cas Abou is quiet and all the houses are on large sites. You will have plenty of privacy. 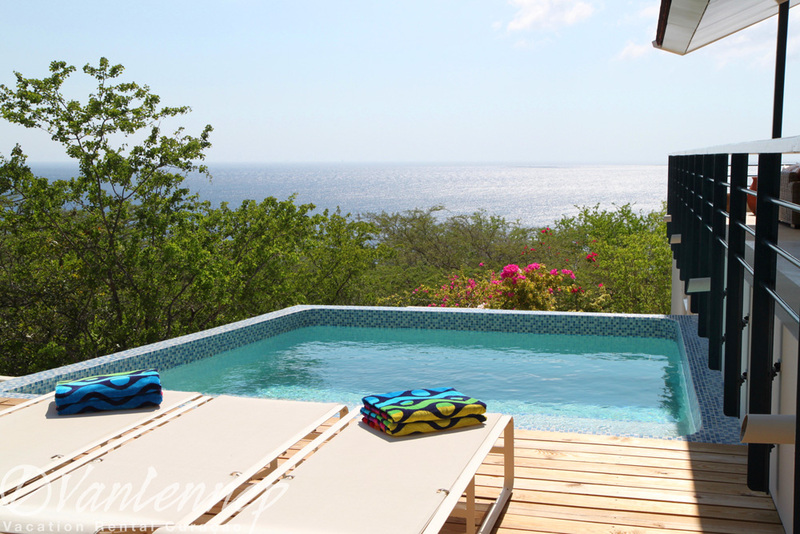 The villa has four bedrooms, four bathrooms, a kitchen, lounge, pool and a large terrace. and is furnished for up to 8 people. The private bathroom of the master bedroom has a shower, two sinks and a toilet. Both have a private bathroom. In the villa there is 110 V and 220 V available. Adapters are also available. * Each additional person is charged € 15 * per person per night. ** In this period there is a minimum stay of 14 nights. * Children under two years stay for free. When booked a deposit is required. The deposit for Dutch Dream Villa is € 500, for a stay of up to two weeks. Upon departure after settlement with electricity and water consumption, the remaining deposit will be refunded. Arrival time is from 16 pm.